The little known secrets to developing amazing Website! When it comes to website design most people assume it is just about colors and images. Even though they are the basics, those alone do not make a good web design. So how to tell a good design from a bad one? It is time to open your eyes wider and look keenly at different web designs. 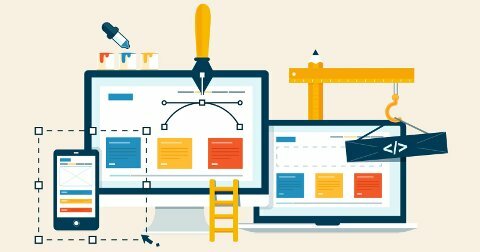 Good quality web designs have a few characteristics that make them look unique. If you have an existing website or are planning to develop, it is important that you must be aware about the traits a good website has. In todays fast pace world, people do not have time to spare. People have a short attention span and hence your website should be user friendly. Keep your website design simple, clear and you will surely go a long way. A well-constructed website is easy to use and easy to navigate. You must have proper utilization of callouts and critical information like company information and address should be easily accessible. If you follow this, you will definitely pull the clients towards you instead of pushing them away. The main aim of the website is to catch viewer’s attention and keep them engaged. Whether they are built for communicating, shopping, reading or marketing products, websites are a visual medium. The website should have apt content and illustrations to provide visitors with an instant signal as to what your website is all about. Good visual can establish your brand and make your website immediately recognizable. You can have guest posts and social media accounts to bond with other businesses. Avoid vagueness in your copy writing and try to be clear and upfront. Most of the times due to confusing messages viewers do not lat even for a few seconds on a single page. For attracting visitors and bonding with businesses, copy writing should be flawless. Clarity will promote people to visit your site again. There should be clarity while mentioning your contact information. A common location for the contact us link is in the upper right corner of the website or in the main page. Mention all possible modes of contact like address, telephone number, email id, fax number. Inclusion of Google maps for finding the address will be an added benefit. How to ensure that your potential client will want to visit the website again? For that, you need to create trust. The aim of your website should be building trust about your brand in the minds of clients and potential customers. For example, the first time someone clicks on a link thinking it will direct to a particular page but instead directs to some irrelevant site. That will be the last time that visitors will check your website. Hence, you definitely want to think about how to be up front and honest with your visitors. This is the most vital yet concealed part of the website. It involves using the right HTML tags, apt keywords, titles and links. Having good content also ensures that the website is search engine optimized. The words should be spelled properly and sentence formation should be short and simple. It should be grammatically correct and relevant. You should always update your website and keep posting some interesting blogs and articles to keep the viewers hooked to the website. In today’s social world, online shoppers rely mostly on the reviews and feedbacks of existing users. Having a testimonial from previous or existing client will make your website more readable and genuine. Hence, a good website design is the result of a combination of many factors. If you keep in mind these few points, you will end up developing a website that is visually engaging and seems genuine to the visitors. Daniel is a reputed web designer and part time blogger. He has been associated with top most website design companies and listing few characteristics of a quality web design. This entry was posted on Tuesday, December 30th, 2014 at 10:10 am and modified by WebMaster View on Monday, December 29th, 2014 at 11:13 pm. You can follow any responses to this entry through the RSS 2.0 feed. Responses are currently closed, but you can trackback from your own site.